Hello! 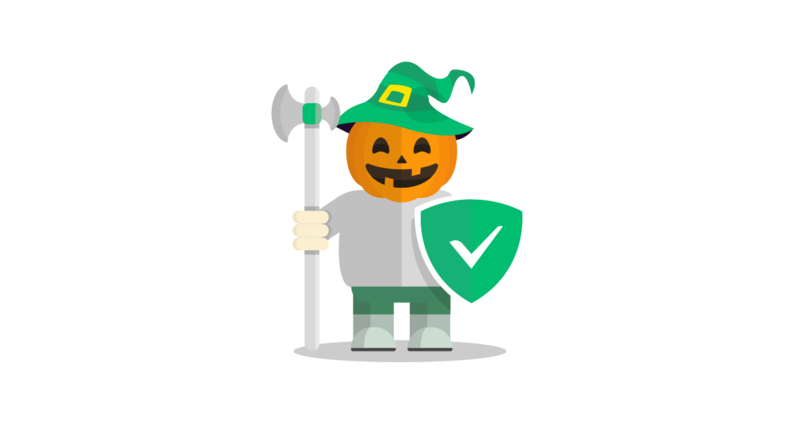 We don’t want to spook you (we totally do), but there are some scarily large discounts on AdGuard licenses going on right now! Make haste to grab one on AdGuard website. For many Halloween is one of the most beloved times of the year because it creates a unique mood and builds up a very special atmosphere. We can’t, sadly, join you in decorating your house or designing a costume, but we sure can do some trick-or-treating together!